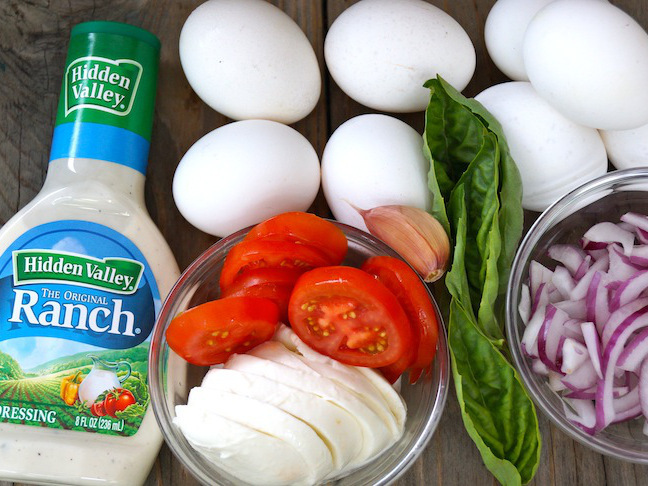 Adding all of these wonderful ingredients to a frittata and surrounding them with creamy, rich, and flavorful Hidden Valley® Original Ranch® Dressing is out of this world! 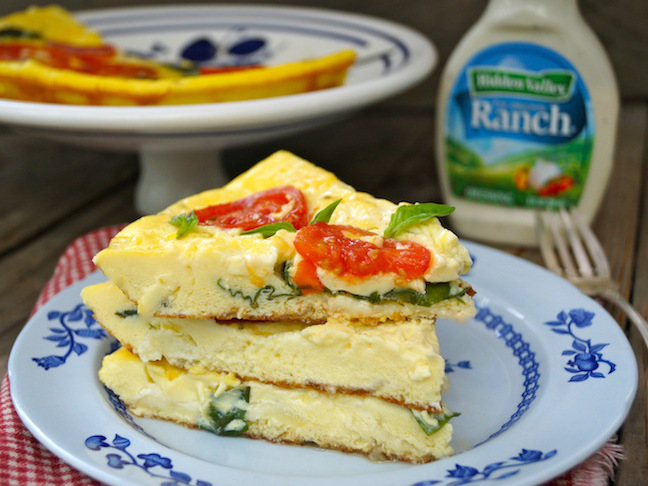 This quick and easy Hidden Valley® Original Ranch® frittata is not only the perfect summer brunch dish, but it also makes for a divine lunch, dinner, or quick snack in between. 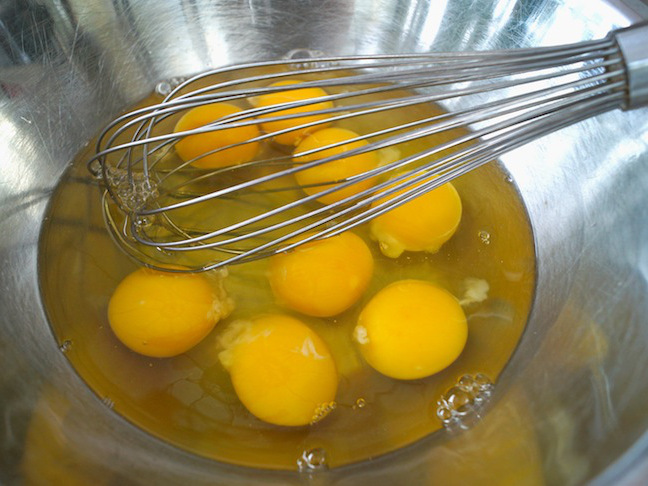 Step 1: Crack the eggs into a medium-sized mixing bowl. 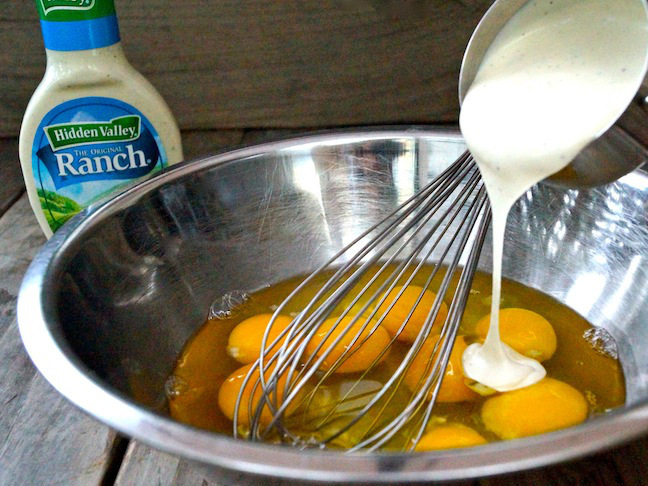 Step 2: Pour in the Hidden Valley® Original Ranch® Dressing. 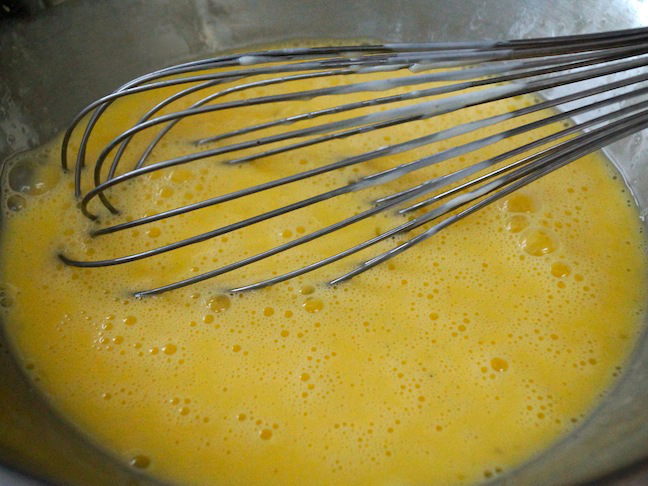 Step 3: Use a whisk to blend the eggs and dressing until the mixture is smooth. Set aside. 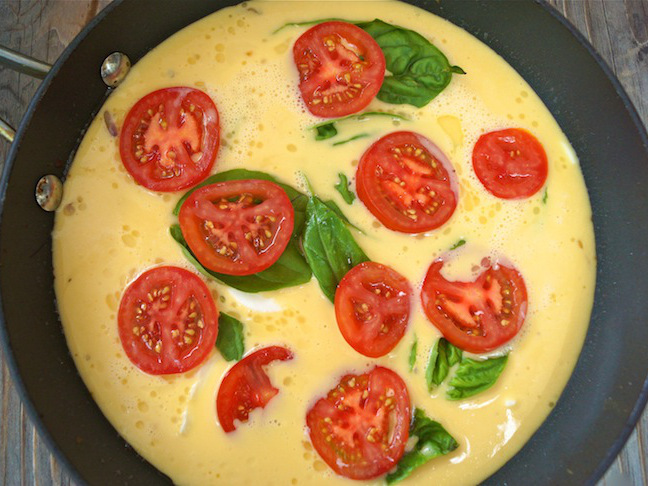 Step 4: Coat the bottom of an approximately 10-inch non-stick sauté pan with 1 tablespoon of the oil. Step 5: Place the pan over medium-low heat and add the onion and garlic. 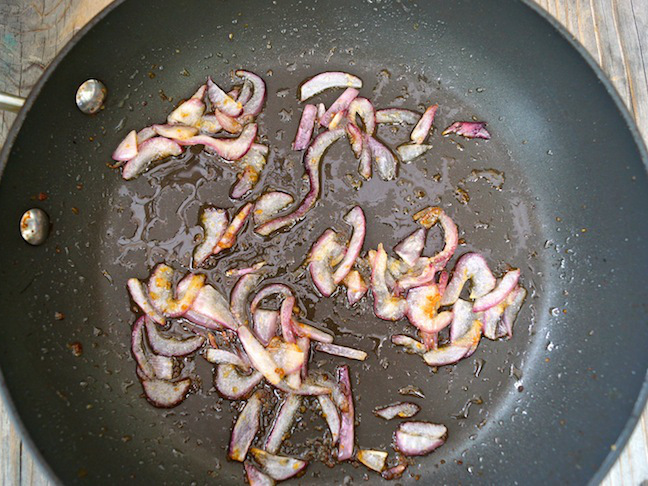 Sauté, stirring periodically, until the onions are soft and slightly caramelized, about 8 minutes. 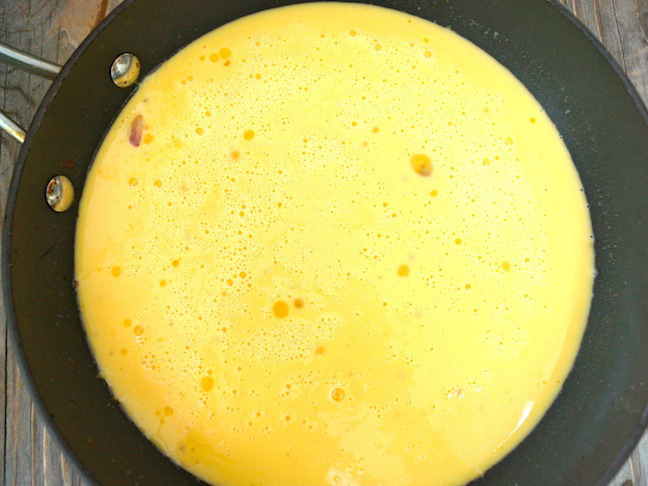 Step 6: Turn off the heat, and evenly drizzle in the remaining 1 tablespoon of oil, and then pour in the egg mixture. 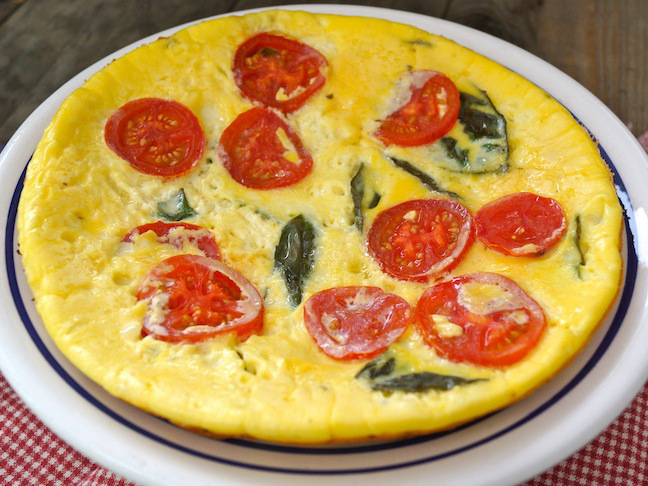 Step 10: Cut the frittata into 6 evenly sized slices, and serve.